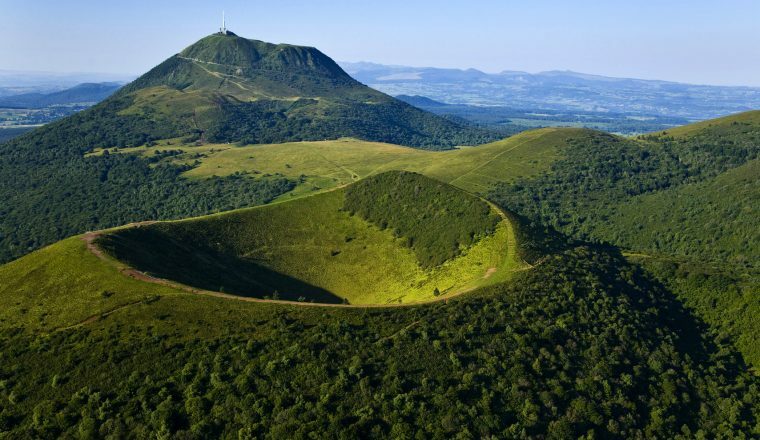 The very heart of the Auvergne is also the very heart of France – the Massif Central, an area of former volcanos, of valleys, of dome shaped hills, of lakes and hidden villages. The very heart of the Auvergne is also the very heart of France – the Massif Central, an area of former volcanos, of valleys, of dome shaped hills, of lakes and hidden villages. This is one of the least known parts of the country, a wild region of magnificent panoramas, mountain flowers and hearty food. Although we provide you with everything you need, a certain amount of map-reading ability will be required – it is in the nature of the area. Nonetheless you will be provided with detailed route instructions, a compass and maps, as well as accommodation, all meals and luggage transfers. £625 per person based on two people sharing low season- May and 14 Sept to end of October. £659 per person for the high season – June to mid September. Single supplement (unavailable at Chareire which is gite accommodation) £115. Night at Le Mont Dore at end of holiday (including dinner): £65 per person. Arrival at your accommodation in Le Mont Dore for 2 nights. 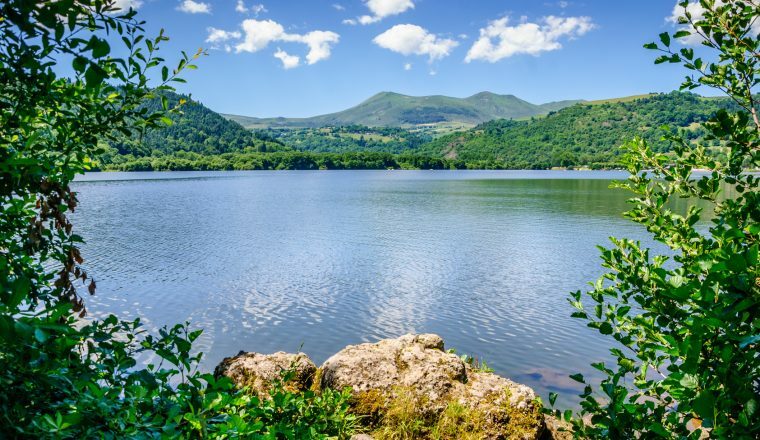 Guery Lake and Guery Pass with tremendous views over the Tuiliere and Sanadoire Crags, after which you reach Puy Gros, with another remarkable view over la Bourboule, Mont Dore, and the Puy de Sancy.14 kms. + – 600m. 4 to 5 hours walking.Dinner and overnight. A waterfall, the Durbise Plateau, Cuzeau Crag, Chaudefour Valley and Chambon Lake.19 kms. +750m. -900m. 6 hours walking approx.Dinner and overnight. Day 4: Chambon – Besse en Chandesse. The Dent du Marais, Murol Chateau, Courbanges, and the medieval town of Besse en Chandesse.13 kms. +400m. 4 to 5h30 walking.Dinner and overnight. Pavin Lake (which, according to legend, is bottomless…); then the Soucy Hollow with its cave, arising from the collapse of an immense lava flow; the Puy de Montchal at 1407m (panoramic views) and Super Besse, the Auvergne ski station alongside a lake.15 kms. +450m. 4 hours walking.Dinner and overnight. Domais Forest, the Valley of the Salty Fountain, le Puy de Sancy (1885m) and surrounding ridges. Return to Mont Dore via le Puy de Cliergue (1691m) and the Capucin (1468m) – a mountain walk notable for its fabulous views.18 kms. +900m -900m. 6 hours walking.End of tour.Overnight possible with supplementary payment of £55 pp to include dinner and breakfast. £625 per person based on two people sharing. 6 nights half board and 1 night in a gite, luggage transportation, route instructions/maps, compass. The nearest airport with budget flights is Rodez, about three hours’ drive from Le Mont-Dore and served by Ryanair. For Train connections the best airports to fly into are Lyon, Paris or Clermont-Ferrard each is served by several budget airlines. it is also possible to reach Paris by Eurostar from London. Clermont-Ferrand train station is only 3 hours by train from Paris and 2 hours from Lyon where you can then change for Le Lioran or Le Mont-Dore.